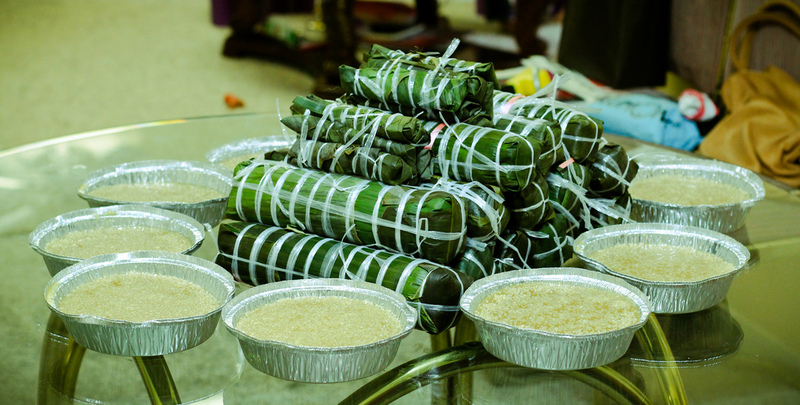 Rice cakes for Tet, Lunar New Year. Photo by Hoàng Long Lê via Flickr/Creative Commons. CAAM partnered with StoryCorps to capture oral history interviews about traditions, new and old. Happy New Year! We hope the Year of the Fire Monkey brings everyone love, health and joy. We partnered with StoryCorps to capture oral history interviews about traditions, new and old. How is Lunar New Year celebrated by Asian Americans? People of Chinese, Vietnamese, Korean, Mongolian, Mien and Tibetan backgrounds celebrate this particular Lunar New Year. First up, we have Tracy Nguyen and her sister Trina talking about bringing friends to their mother’s temple for delicious vegetarian food during New Year, as well as the tradition of giving red envelopes to children. Tracy also talks about coming out to her mother on Lunar New Year two years ago. “I brought my partner home once last year. It was the very first time in my life that I formally introduced my significant other to my mom. My mother was very kind and supportive. However, we never talk about it and I feel like every year, I have to think of the next steps I want to take in our journey together. Maybe the Year of the Monkey will invite progress.” Read more about Tracy’s first coming out here. We also have friends and students Jia Chen and Xiaoning Lyu talk about memories they have of celebrating the new year in China — from eating pigs’ ears in the countryside to the loud sounds of firecrackers ringing throughout town. 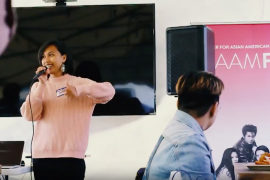 Last, but not least, we have David Lei, CAAM Board Member, who shares about the history of the Chinese New Year Parade in SF, the connection between that parade and the Gay Pride Parade, and about his first time performing in the parade as a ninth grader! Interviews recorded at StoryCorps in San Francisco. Audio edited by Davin Agatep. Tracy and Trina Nguyen and Jia Chen and Xiaoning Lyu’s sessions were recorded in 2015. David Lei’s sessions was recorded in 2016.